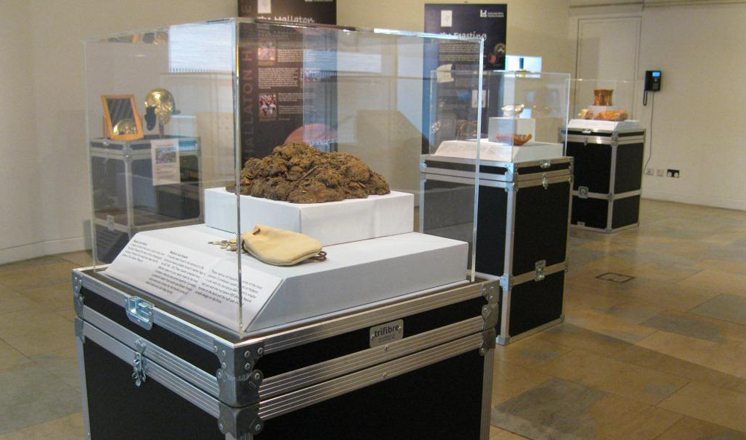 In the year 2000, amateur archaeologists from the Hallaton Fieldwork Group were fieldworking in near the village of Hallaton in Southeast Leicestershire. 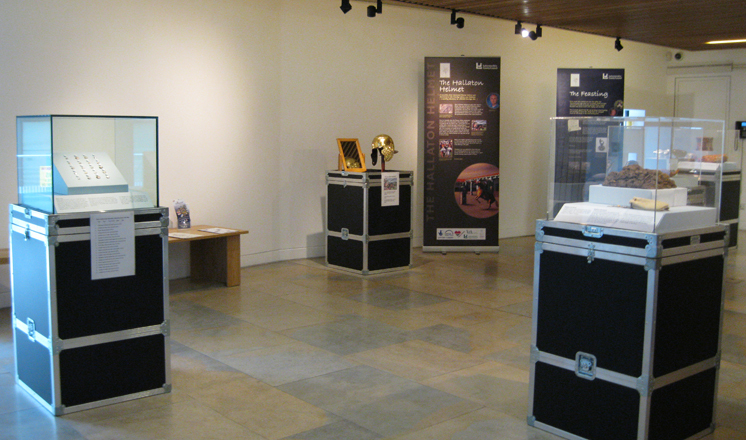 They found what would eventually be described as one of the most important archaeological finds of recent years – the Hallaton Treasure. 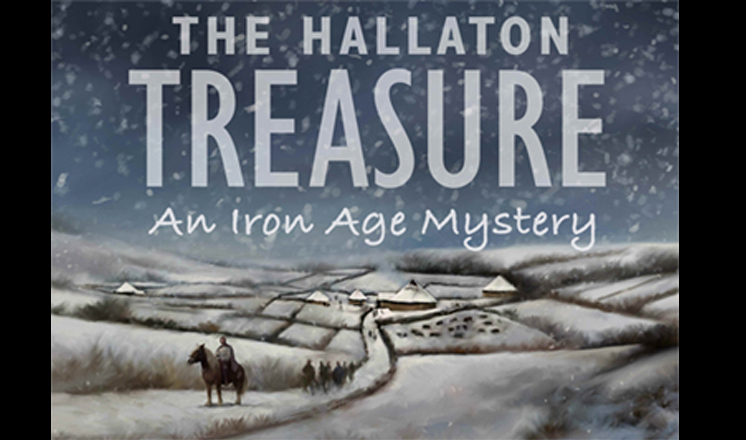 The Hallaton Treasure is an internationally significant find and has shed light on the Corieltavi tribe, the inhabitants of the East Midlands in the Iron Age period. 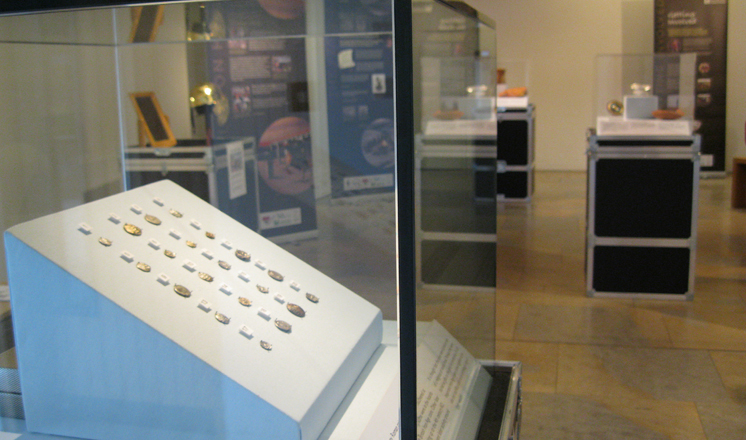 Over 5000 Iron Age and Roman coins were found at the site along with a Roman cavalry parade helmet, mysterious silver objects and the remains of hundreds of pigs. The site has been interpreted as a mysterious 2000 year old shrine of the Corieltavi. Most of the objects were buried on the eve of the Roman invasion of AD43 so it has been suggested that the tribe were making sacrifices to their gods, possibly asking for protection from the threat of invasion. 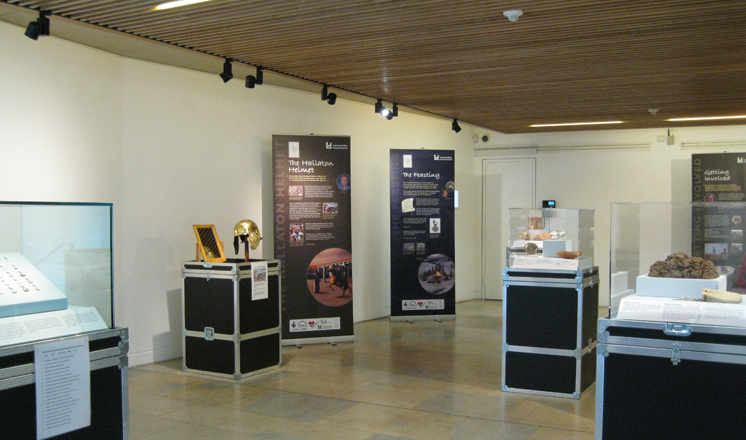 The exhibition was written by members of the Hallaton Fieldwork Group, Vicki Score, Site Director from University of Leicester Archaeological Services and Roman military expert, Dr Simon James from the University of Leicester. It offers their views on what was happening at this mysterious site and why. The stunning replica objects on display include an Iron Age tankard based on a tankard handle found with over 300 pig bones, the remains of huge feasts which accompanied the sacrifices.